Made in Canada. Intense strawberry flavour adds the perfect touch to daiquiris and fruit smoothies. We love creating tropical Bloody Caesars with muddled strawberries and mixing this rimmer with Matt & Steve's Caesar Rimmer for a sweet, spicy and salty balance. Made in Canada. Truly the best Caesar Rimmer out there! Coarse texture, tons of flavour and the perfect amount of spice. You will never use celery salt to rim your Caesars again. Made in Canada. A pickled bean with just the right amount of spice! Contains approximately 50-60 beans per jar! The perfect addition to Bloody Caesars. Made in Canada. A strong celery-like flavour with a lemon backdrop for added complexity. Use in Caesars or Bloody Marys. 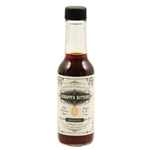 Made with only locally-sourced cranberries, these bitters offer a subtle anise and white pepper flavour background. Great for Christmas punches and cocktails. 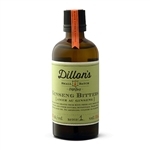 Dillon's take on a classic aromatic bitters. 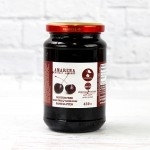 Made with cherries and 11 herbs and spices, giving it an aroma of cherries with overtones of all-spice, cloves, vanilla, and cassia. A great multi-purpose bitters. Made using black currants sourced from Peter Dillon's garden, these bitters are a rich and fresh addition to a gin and tonic. Prominent ginger, with a subtle background of fennel, cherry and smoke. Great in cocktails or as an addition to vegetable stir-frys and baking, Made with a touch of orange and anise flavour and locally grown ginseng root, giving it an earthy flavour. A great addition to cold tea cocktails. Made with a combination of different hop varieties, this flavour is bitter with a citrus kick. Try it in a pint or in an orange or pineapple-based cocktail for a bit of spice and added citrus aroma. 450 gram jar Add a dash of this to any cocktail to bring out the flavour profile and expand your palate. 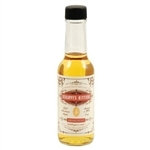 These sour bitters are heavily steeped in citrus fruits with a strong wood bark bittering agent. A nice all-around balancing agent to many cocktails and an excellent complement to clear spirits. Scrappy's answer to the classic aromatic bitters. Created to add balance and a bit of spice to all spirits and cocktails. A blend of botanicals and charred Canadian cedar added to a premium bourbon spirit base. Excellent for use in bourbon and rye based cocktails, mocktails made with gingerale, and to add a smoky element to cooking. 120 mL/4 fl. oz A savoury bitters made with crisp cucumber and celery amidst a blend of garden herbs and botanicals. Pairs well with neutral grain spirits and rye. 120 mL/4 fl. oz A spice trail transcending Spain, Morocco, India and more against the backdrop of vanilla,cardamom and peppercorns. Pairs well with neutral grain spirits, rye, bourbon or champagne. 120 mL/4 fl. oz Rose petals and rose hips blended with a collection of botanicals and berries create the stoic aroma of the prairies. Pairs well with neutral grain spirits, rye and whiskey. 120 mL/4 fl. oz Save money by purchasing three bottles of Dillon's! 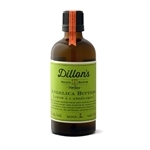 Your choice of 3 100mL bottles of Dillon's bitters OR we can make a selection for you. Just place your order and we will contact you once it's received to verify your choices.